What does the expiry date of 5 years mean for statutory leave? Dutch law prescribes that from 2012 onward, the total amount of balance is to be seperated in two parts. There is the statutory part (=4x the amount of the employee’s workweek), and an exceeding-statutory part (the rest of the balance). Normally, the statutory part expires half a year after the end of the fiscal year. The exceeding-statutory part has an expiry date of 5 years. This complies with the new Dutch legislation as of 2012. However, there are some collective agreements that allow for an expiry date of 5 years for the statutory part. A well known example of a collective agreement that uses this calculation method is the CA of Technische Groothandel. 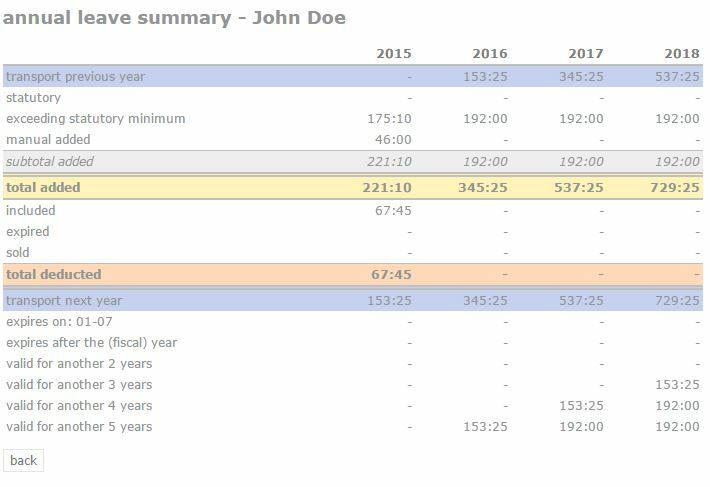 The build up of the balance is very similar to the build up of the standard Dutch legislation of 2012, with the only difference being that all of the balance will expire after 5 years, instead of a statutory part that expires 6 months after the end of the fiscal year. 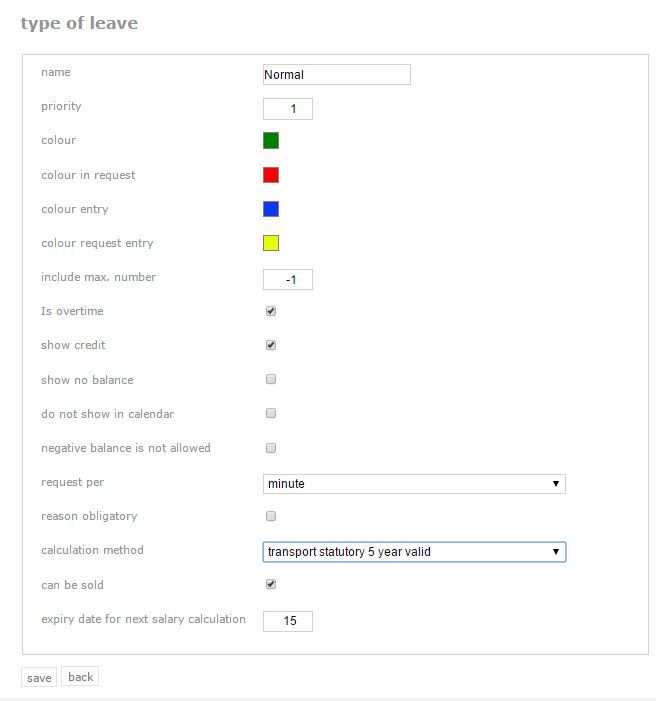 How do you change the calculation method for ‘statutory leave for 5 years’? The leave build-up looks similar to the build-up of leave according to the calculation method of 2012 in the annual leave summary. The only difference is that you can see that the statutory balance is seen as exceeding-statutory. This allows the balance to remain valid for 5 years instead of 6 months. You can see in the picture below, that all the balance is part of the exceeding-statutory minimum.